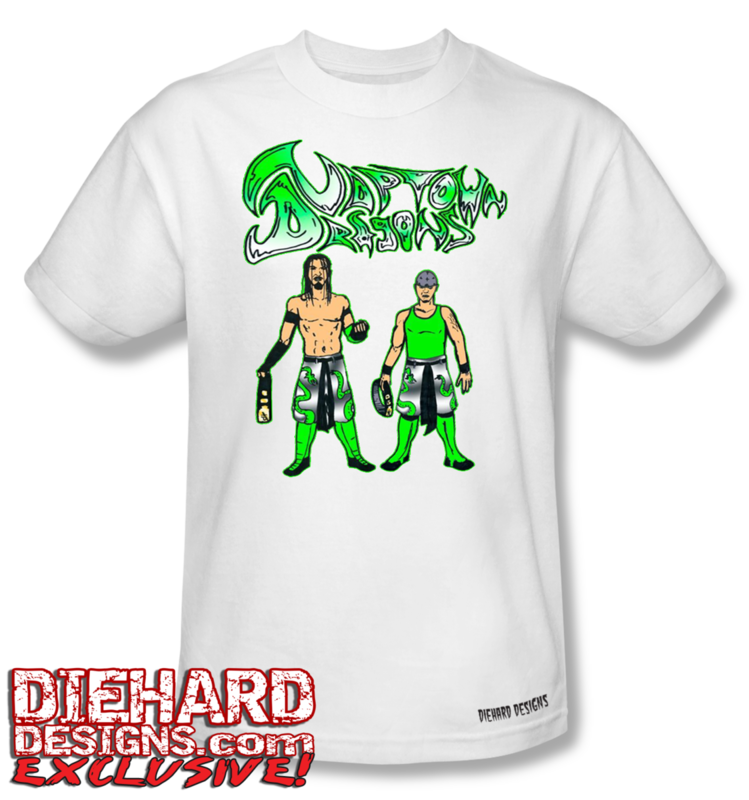 The Naptown Dragons™: Originators Tee features a classic art piece depicting the founders of the ultimate hybrid wrestling stable, Diehard Dustin Lee & "The Psycho Shooter" Drake "Younger" Wuertz. The duo went from backyard dreamers to working with world renowned professionals. Once they went pro, they quickly began to tear through the competition as a team, eventually winning the Coliseum Championship Wrestling Tag Team Titles from Chuck Taylor & Ricochet. All across the country, they had legendary bouts battling against each other in globally recognized annual events like The King of the Death Match Tournament, The Carnage Cup, & The Tournament of Death just to show the world what they could do. This kind of brotherly brutality warned others...if they would do this much damage to each other, just image what they would do to those they don't like! Rock the wrestlers that changed the game with classic original artwork that was hand drawn & digitally colored by polymath, Diehard Dustin Lee.